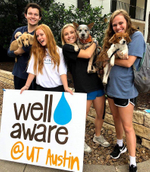 Whether you're looking to get involved in a small way or a big way, as an individual or an organization- we have many options for you to join our clean water movement and affect incredible impact in the world. Be part of a community that is changing the world. 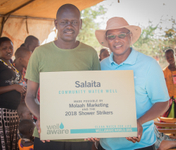 The Well Aware Village is integral to our success- providing sustainable funding that enables us to grow and scale our clean water projects. Make a big impact in a short time through this nationally-recognized fundraiser. 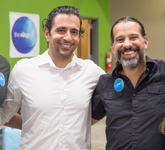 Volunteers across the globe unite to raise awareness of water scarcity and raise funds for our sustainable clean water systems. Help make our fundraising and community events successful. From our annual holiday party, to our quarterly Village events, we rely on passionate volunteers. Interested in sponsoring a specific project and transforming a community? With a sponsored project, you'll see exactly where your funds go and will be able to closely watch the astounding impact that occurs after a community is provided with access to clean water. Email us for more information. Do you love to travel? Are you passionate about making a difference in the world? 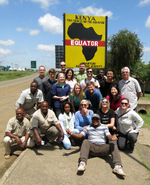 You can see our clean water work firsthand on our all-inclusive "Rafiki" trips to East Africa each summer. Make a contribution by shopping smarter! 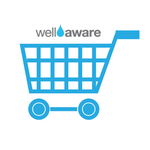 When you shop through these platforms, a portion of the price is donated to Well Aware. Or, shop directly from us! Represent us or grab a gift for a friend. We sell Well Aware t-shirts, koozies, jewelry and more. 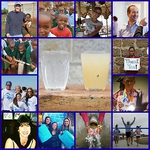 Get your brand or organization involved with clean water impact. Host a water walk, sponsor an event, provide in-kind donations, and more- all while providing more people with clean water for life. 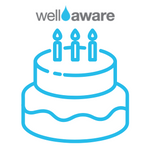 Have the Well Aware Team present to your organization. 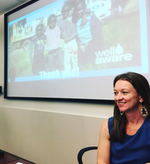 We'll educate your employees about water scarcity issues, show them how they can get involved with the impact, and create an overall inspiring, engaging experience that will boost your CSR program. Our Classrooms To Clean Water program empowers young people to become the next generation of global leaders. 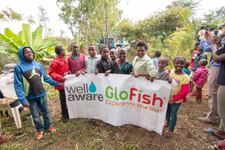 Through interactive educational activities, students and educators learn about the global water crisis and are empowered to make a difference. 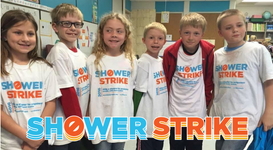 Grow Well Aware's brand awareness and help us raise funds by getting students at your school involved. You can join an existing student organization, or start your own. We are always looking for motivated students who want to gain nonprofit work experience and help us grow our impact. We have a variety of roles available year-round, from communications to office management to fundraising. Get in touch! We'd love to brainstorm other ways that you can use your unique talents, resources, or interests to get involved with the clean water cause. Click the button to email us below.